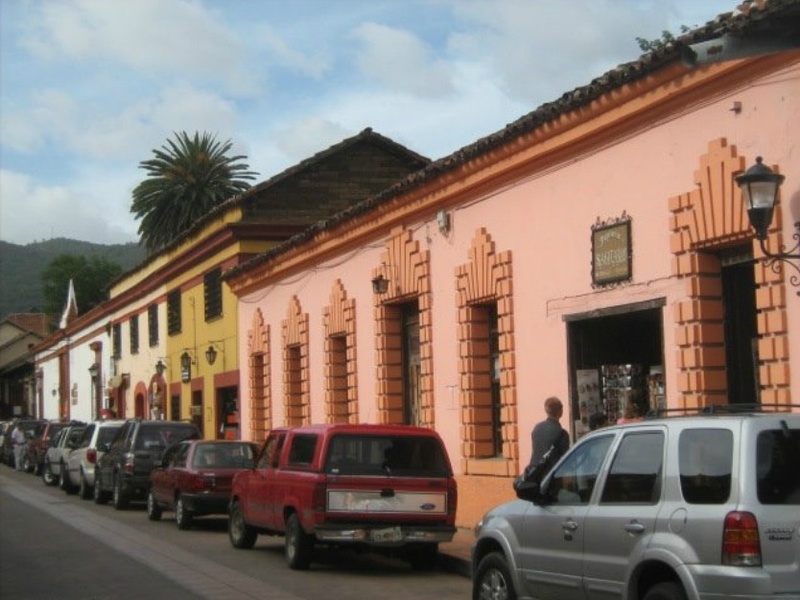 Depart from your hotel in San Cristóbal de las Casas to make the visit of San Juan Chamula to observe the religion followed by indigeneous Tzotzil ethnic group. 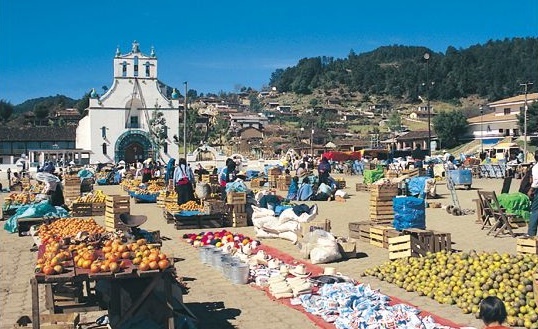 Then continue to the indigenous community of Zinacantán. 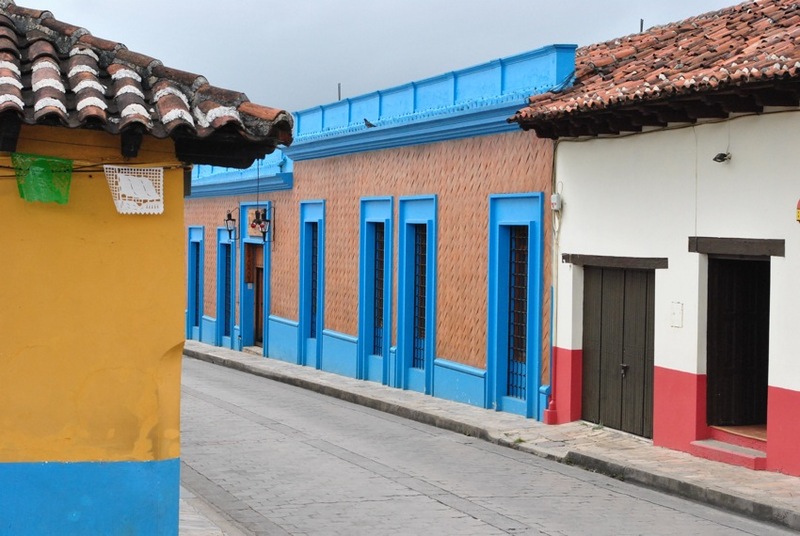 We ´ll visit the church and the house of a family where we will taste the liquor clandestinely manufactured by the locals as we see how to use the loom. 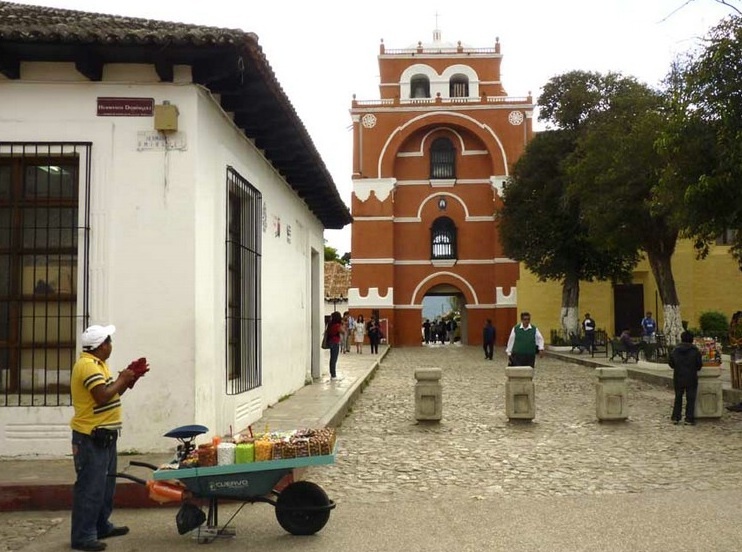 Returning to San Cristóbal, we will make the city tour of this colonial town visiting the most interesting places. 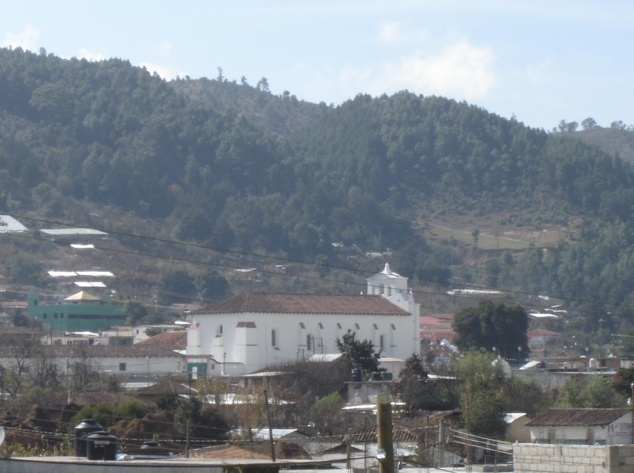 This tour will finish at 14:30 hs approx..
San Juan Chamula is situated some 10 km (6.2 mi) from San Cristóbal de las Casas, in the Chiapas highlands , at an altitude of 2,200 meters. 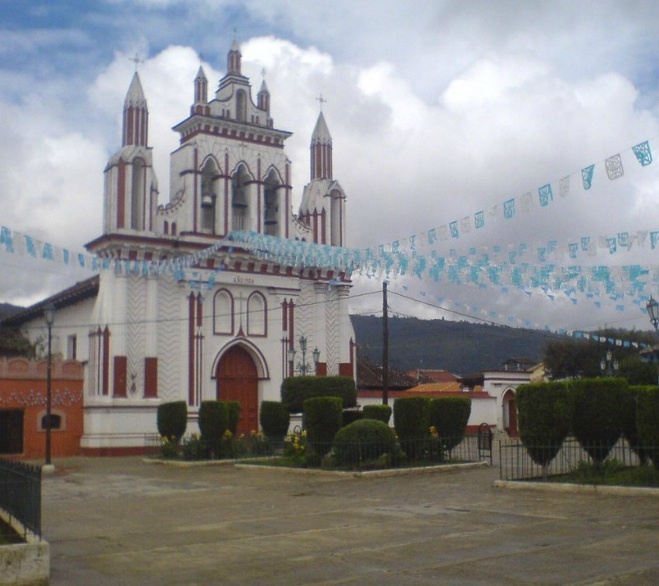 The town enjoys unique autonomous status within Mexico. No outside police or military are allowed in the village. Chamulas have their own police force. 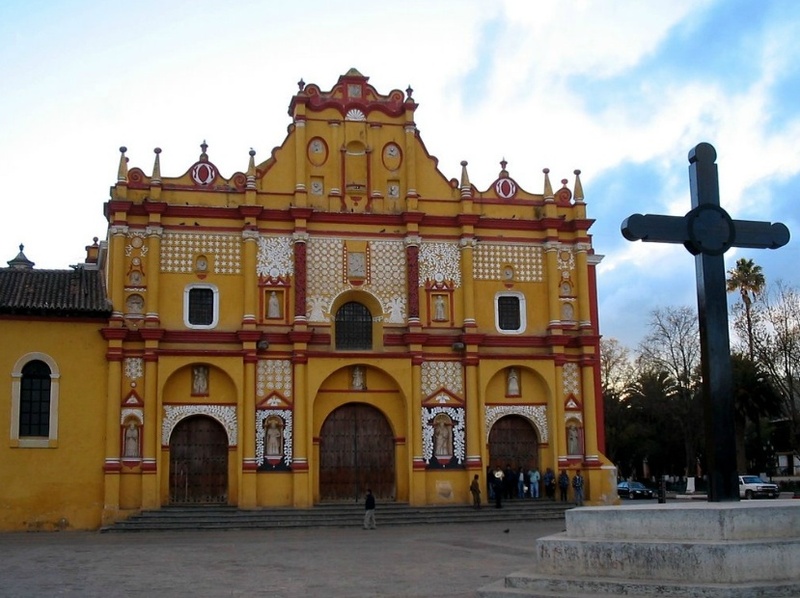 The church of San Juan, in the municipal cabecera (headtown), is filled with colorful candles, and smoke from burning copal resin incense, commonly used throughout southern Mexico. 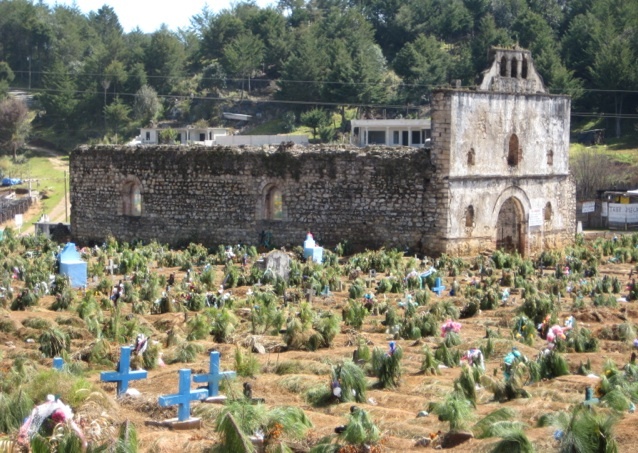 Along the walls of the church, as in many Catholic churches, are dressed-up wooden statues of saints in large wooden cases, many wearing mirrors to deflect evil. 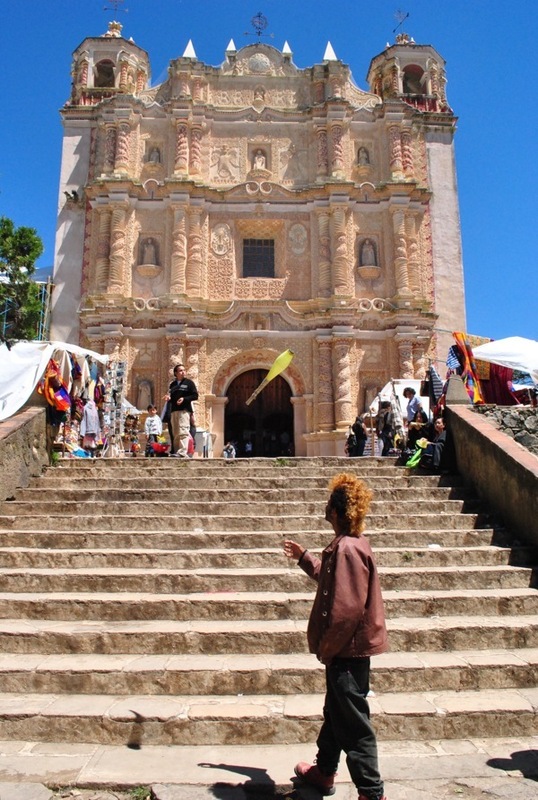 The local form of Catholicism is a blend of pre-conquest Maya customs, Spanish Catholic traditions, and subsequent innovations. 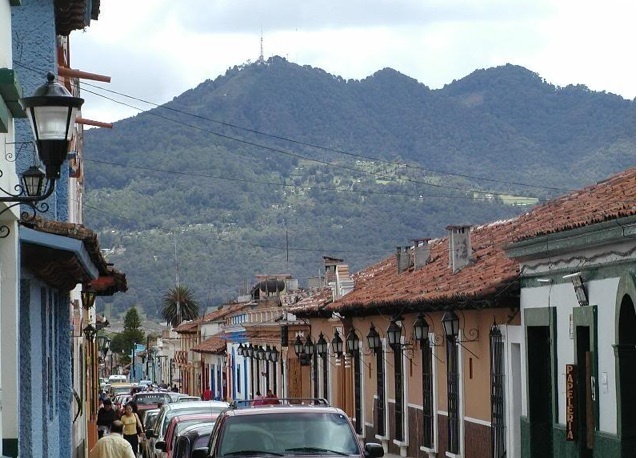 Zinacantán literally means “land of bats” and comes from the Nahuatl language. 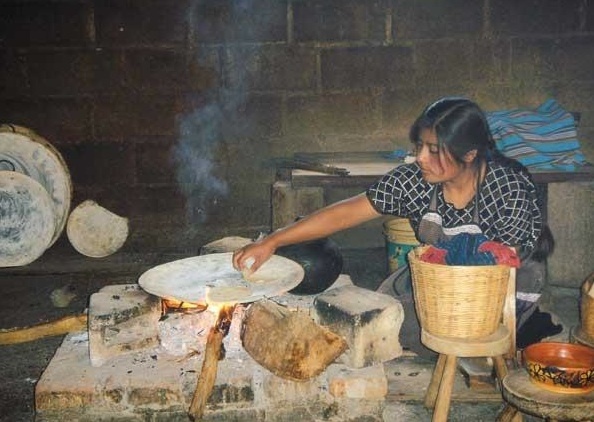 People in Zinacantán speak Tzotzil and they call their own land “Sots’leb”, that is, “land of bats” in their own language. 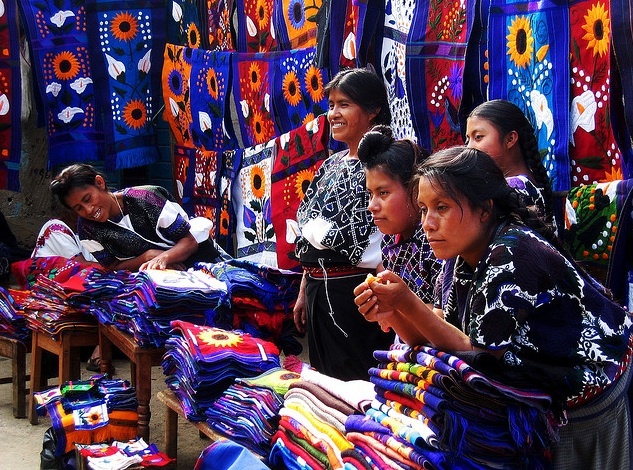 In Zinacantán traditional costumes are still preserved for everyday use, not without an obvious evolution, realize deep roots of ancient customs. The men wear a kind serape woven cotton called pok’u'ul. Formerly white. From the seventies were alternated white with red thread, which made it by far give the impression of being pink. In the nineties was used completely red. Since 2000 they have started using dark colors like blue, green and purple. 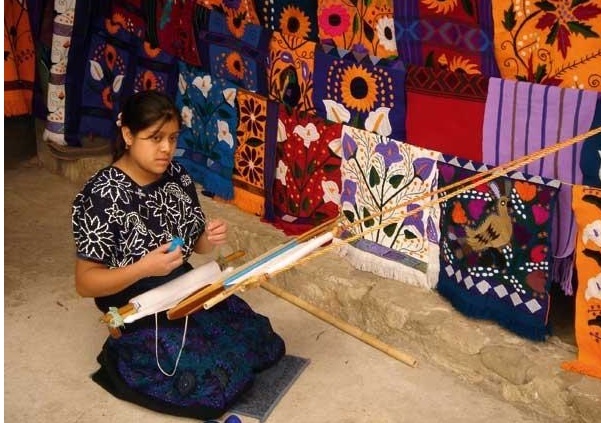 Along with the darkening of the colors have been including floral hand weaving began but now they do it with machine. At parties also use a hand-woven shirt white color they call mokiteil. Women wear a blouse handwoven and machine embroidered with floral motifs. 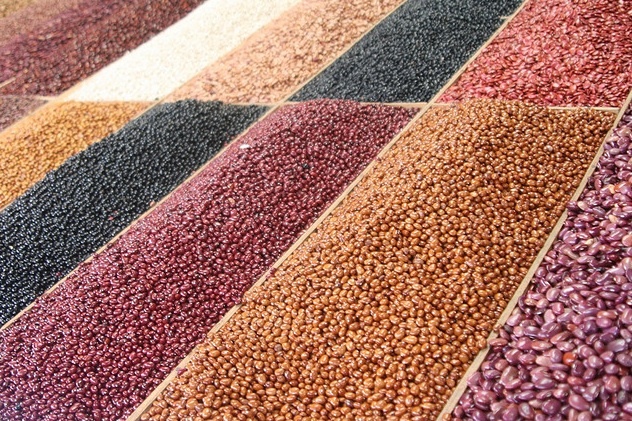 To cover the cold moxib put his or moxibal has been varying colors just as is the pok’u'ul quivalente male garment. The skirt is dark and usually takes some discreet floral embroidery by hand or machine. 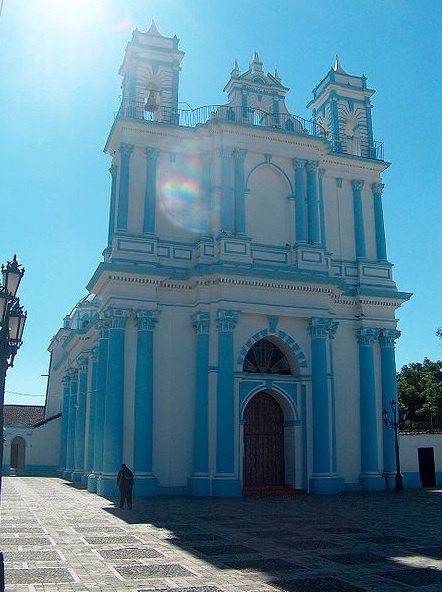 It was the capital of the state until 1892, and is still considered the cultural capital of Chiapas. the city sits in a small valley surrounded by hills. 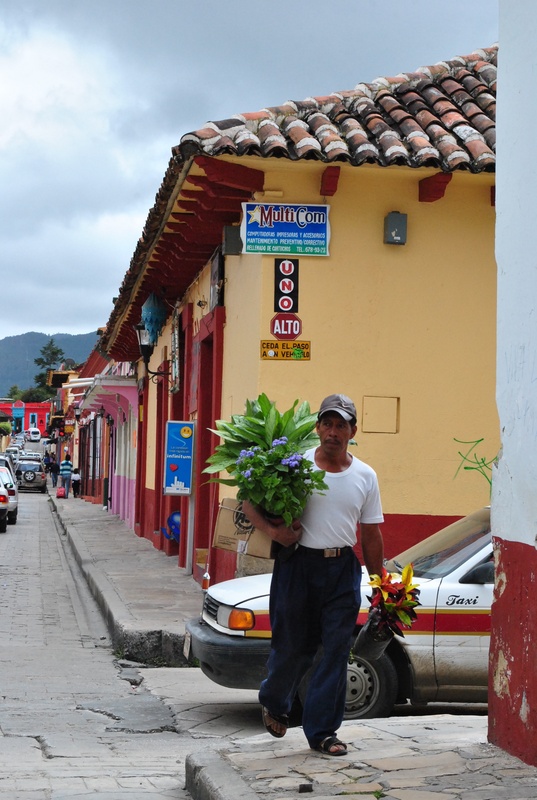 The city’s center maintains its Spanish colonial layout and much of its architecture, with red tile roofs, cobblestone streets and wrought iron balconies often with flowers. 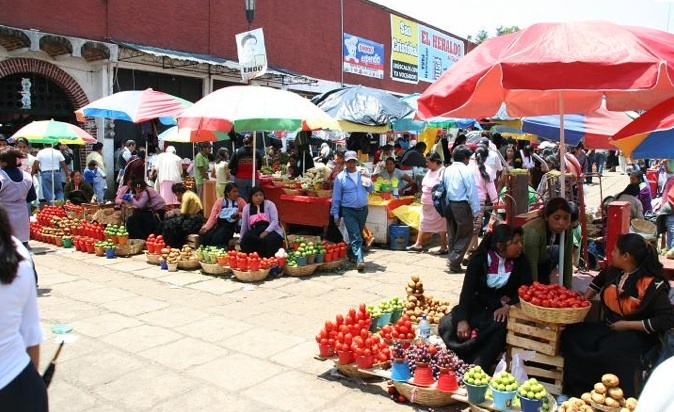 Most of the city’s economy is based on commerce, services and tourism. 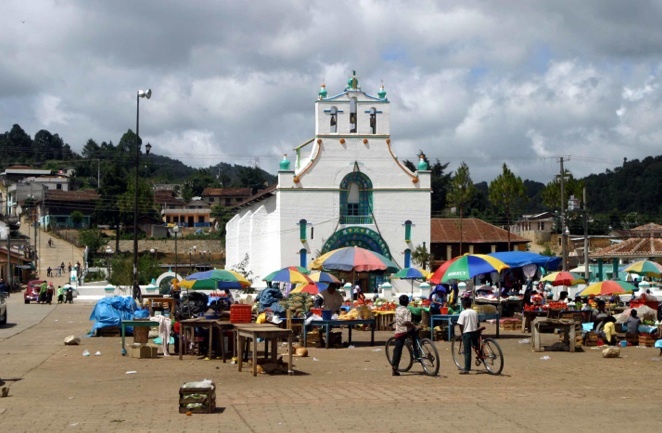 Tourism is based on the city’s history, culture and indigenous population, although the tourism itself has affected the city, giving it foreign elements. 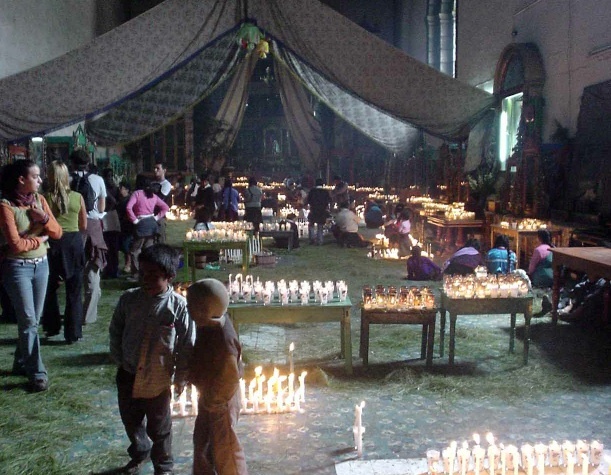 It is forbidden to take pictures in the churches of the indigenous community and also to the local authorities.